Perhaps this is a sign that I need to spend more time fixing up/making jewellery than hunting for it. 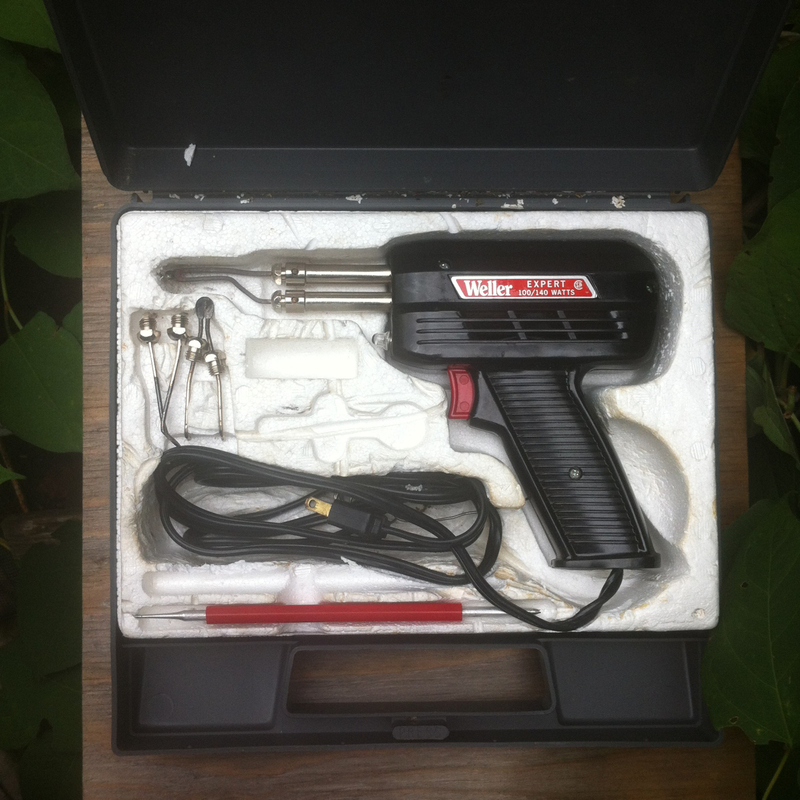 I found this soldering gun on the sidewalk last weekend. I looked it up online and it’s a pretty fancy soldering gun. I have a soldering iron in the basement somewhere that I used to try and repair or upcycle old broken bijouz in the past, but it was very clumsy and awkward to use on delicate treasures. I also have some ideas for making my own designs with copper and brass (I can only do so much hand hammering). Now I have visions of making a little workspace in the basement this winter. Check back in February and see if I’ve done anything.